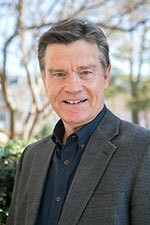 Steve Logan holds a bachelor of fine arts in graphic design from the University of Alabama and a juris doctorate from Cumberland School of Law. He worked for a number of years at Southern Progress as art director of the book division and director of the corporate division. After retiring in 2007, he has filled his time with running Steve Logan Calligraphy and Designs where he designs invitations for weddings. He has worked as calligraphy instructor for Samford Academy of the Arts for the past five years.